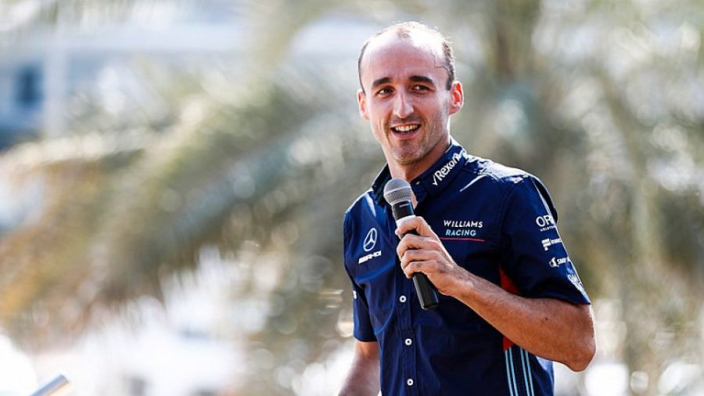 Robert Kubica has no doubts that he will be able to perform at the peak of his powers from the off in 2019, saying that the rest of the field "starting from zero" will help him as he returns from more than eight years off the grid with Williams. Next year's Australian GP will see Kubica race in F1 for the first time since the end of the 2010 campaign. The Pole suffered life-altering arm injuries in a rally crash a few months after that race in Abu Dhabi, but made it back into F1 in a test role with Williams this year, which has now been upgraded to a race seat. Kubica's previous 76 grand prix entries came under vastly different engine and aerodynamic regulations, but he believes the experience will remain useful, with another set of aero changes in 2019 levelling the playing field. "Of course from one side I have quite a lot of experience from racing, especially in Formula 1, as I did five seasons," said Kubica. "For sure I know what it takes to be a top F1 driver so I am not scared of it and I know it requires a lot of work and dedication and I am ready for it. "From a technical point of view, driving point of view, we have winter testing, so by the time we get to Australia that is enough time to be ready. "In 2019 we will all start from zero so I am not afraid that I have been away for eight years. "I am looking forward and I know what it takes and what I have to do. If I do my job well I am sure everybody will be happy. "I heard it for many years, people struggled to believe that I could do it. "All team managers, all team principals, if I [was] a team principal I would also have doubts. "But that's the reason why I said this year has been very useful because my first - the first meeting [with Claire Williams] I remember when we met I said that if you have any doubts we shouldn't be doing it. "I have to be sure I can do it, and that's why I'm here."